Attorney Neil T. O’Donnell of O’Donnell Law Offices, Kingston, Pennsylvania, was the moderator and a featured speaker at the Committee for Justice for All [CJA] event on April 14. Attorney Neil T. O’Donnell of O’Donnell Law Offices, Kingston, Pennsylvania, was the moderator and a featured speaker at the Committee for Justice for All [CJA] event on April 14. The seminar was held at Mohegan Sun Pocono in Wilkes-Barre, Pennsylvania. Attorney O’Donnell’s presentation was focused on trial preparation. The CJA is a Northeastern Pennsylvania advocacy group dedicated to preserving the Constitutional right of all Americans to have a jury of their peers hear their cases and decide what’s fair. For more information on CJA, visit https://www.facebook.com/commforjustice. 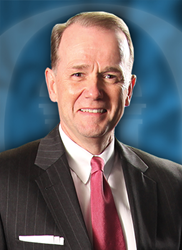 Attorney O’Donnell has been recognized as a Top 100 Pennsylvania Super Lawyer from 2007-2015. O’Donnell has also been selected by his peers for inclusion in The Best Lawyers in America 2016 and the 2016 edition of the Martindale-Hubbell Bar Register of Preeminent Lawyers. O’Donnell Law Offices is a Northeastern Pennsylvania personal injury law firm which has successfully represented all types of personal injury claims, ranging from auto and trucking accidents to product liability claims, to medical malpractice and wrongful death claims. The firm is located in Kingston, Pennsylvania, and its superb team of attorneys provides top quality legal representation and unparalleled service to its clients and the community. O’Donnell Law has been representing clients for more than two decades, and in that time has received numerous awards and recognitions. Visit http://www.odonnell-law.com or call 570.821.5717 for more information on the firm.